The ABC class fire extinguishers is the most popular fire extinguisher in today’s market. It is considered to be very versatile due to its ability to extinguish Class A, Class B, and Class C fires. They can be found in most homes, businesses and public settings. 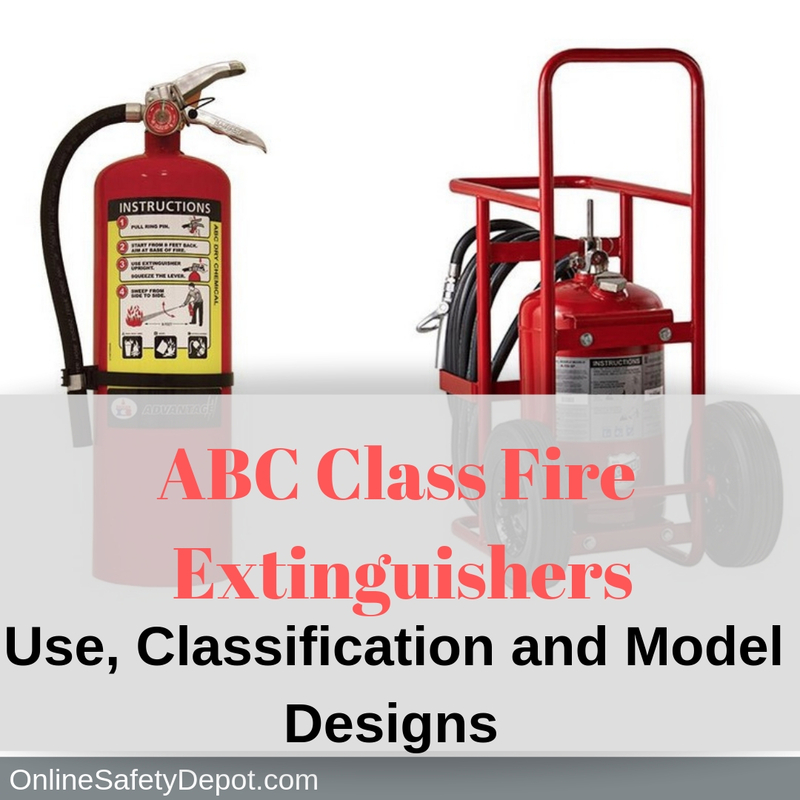 ABC Class Fire extinguishers use a dry chemical known as monoammonium phosphate, a yellow powder that smothers/extinguishes Class A, Class B, and Class C Fires. While ABC Class Fire extinguishers are capable of extinguishing Class C Fires (electrical fires), it leaves behind a residue that may be harmful to some electrical equipment and should be considered when purchasing for use on any electrical equipment. Class A fires are those whose fuel sources is typically wood, paper, cardboard, or regular household trash. Class A fires are extremely common and can occur in the home, workplace, and various public settings. Class B fires consist of the burning of flammable liquids or gasses. Class B fires are common in the kitchens of homes where grease and cooking oils may catch fire. If this is the case, DO NOT THROW WATER ONTO THE FIRE as it cannot extinguisher Class B Fires. Other flammable liquids and gasses that are considered fuel of Class B Fires include petroleum greases, oil-based paints, tars, alcohol, and some solvents. Class C Fires consist of “energized electrical equipment.” Examples of Class C fires are those that occur in electrical outlets and cords, home appliances, electrical panel boxes, computers, servers, motors, power tools, and any other source that may be energized or electrical. Potable fire extinguishers are designed mostly for homes, offices, and community places. 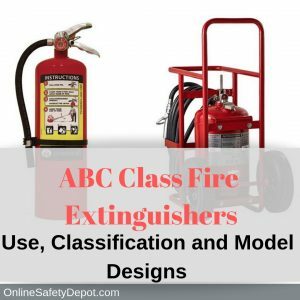 OnlineSafetyDepot.com proudly carries a variety of ABC Class fire extinguishers that are designed for the home, businesses and public settings. Wheeled fire extinguishers are designed to extinguish larger fires. Often found in industrial settings such as warehouses, office buildings and event centers. OnlineSafetyDepot.com also carries wheeled ABC Class fire extinguishers. Offshore fire extinguishers are designed to withstand the harsh environmental conditions that are found along the coast, boat docks, or oil rigs. Each offshore fire extinguishers is coated with several specially designed paint coats designed to prevent damage caused by water, salt and sun that can lead to rust and destroy the mechanics and innerworkings of the fire extinguisher and possibly render it insufficient when needed in an emergency. OnlineSafetyDepot.com offers offshore ABC Class fire extinguishers.